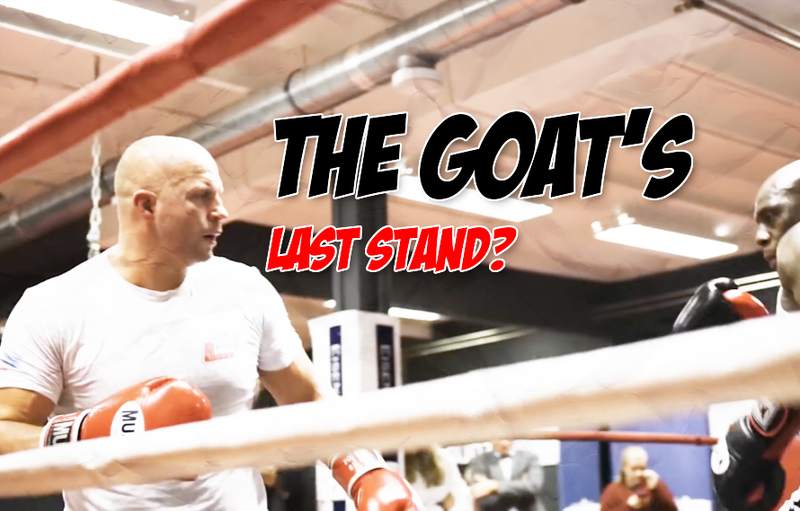 We’ve reach the point of Fedor fight week when we start getting concerned for The GOAT. In case you missed it, Fedor Emelianenko fights on Saturday night versus Ryan Bader. We’re not sure when Bellator’s Heavyweight Grand Prix started but Emelianenko and Bader are somehow in the finals. Emelianenko beat both Frank Mir and Chael Sonnen in the first round to get here. While Bader knocked out King Mo in 15 seconds then wrestled Matt Mitrione to a three round unanimous decision to arrive here. In Scott Coker’s head this was how the Strikeforce heavyweight grand prix was suppose to play out. Fedor rises to the top like a solid eight years too late. Holy Hell, was the Strikeforce Grand Prix really eight years ago? Where has the time gone? What are we all doing here still? Fedor, is still fighting all these years later? The GOAT has gone 7-2 since Bigfoot Silva broke him inside the Strikeforce cage. If our math checks out that’s about one fight per a year for Emelianenko for the past eight years. Emelianenko fought two times in 2018 and is now a 42-year-old human being. The Last Emperor has to be thinking about retirement soon? Again? Today (Jan. 23) 19-year MMA pro ran through the motions during his Bellator open workout. Fedor was there but was he really there? Post-workout Fedor talked with members of the media and it sure feels like he is going to retire very soon. Fedor said he has not made adjustments in training over the course of his careeer. Only it takes more time to prepare. What else does a GOAT have to prove in 2019? Win or lose to Ryan Bader, this may be the last time we get to see one of the all time greats mix his martial arts. Enjoy it.